Without sounding like a total girl, I have a confession to make. Shortly after sending in the entry form for my very first dog show I turned to Hubby and asked "What am I going to wear?" For men, the answer is pretty simple: Wear a shirt and tie, slacks and sports coat. If the weather is really warm, you can forgo the sports coat. Breathability, because with the wrong outfit you are going to sweat if it's hot or freeze if it's cold. 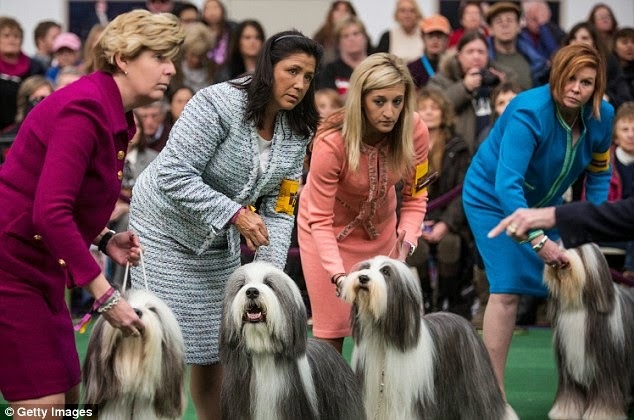 Nothing short of a hurricane will stop a dog show. Seriously! Maneuverability. You will be running, bending, lifting and/or squatting. Before you buy something, make sure can you move in it. Looking like an idiot running around the dressing room isn't nearly as embarrassing as looking like an idiot around the show ring. Modesty. Remember, you will be bending and squatting. You don't want to give the judge an eye full of crotch or cleavage. Cleaning. 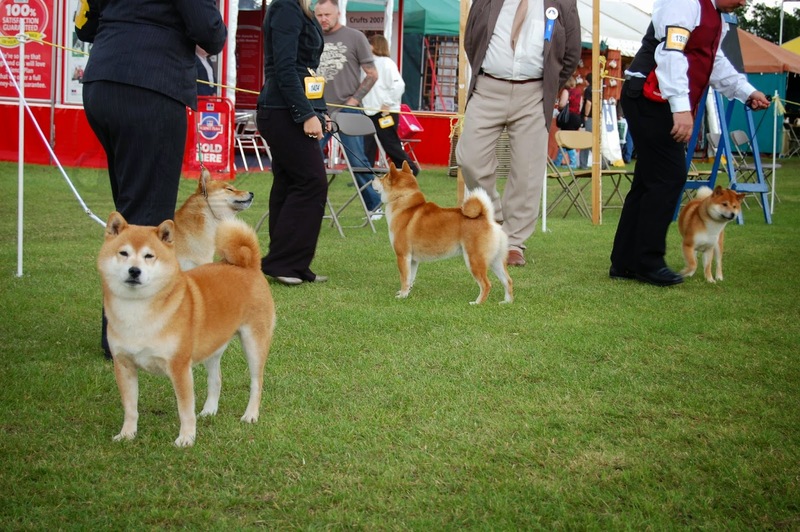 It's impossible for me to stay clean at a dog show, therefore I refuse to wear white. I also avoid anything that isn't machine washable. Dry cleaning can get expensive very quickly. Color scheme. How does the outfit look up against the dog? You don't want to your dog's silhouette to get lost in your outfit. (I don't wear black when showing Jedi because it hides his top line.) At the same time, you don't want to clash with your dog. It's a delicate balance. Pattern. Go for subdued or monochromatic. You don't want your outfit to be so loud that it detracts from your dog. Remember, the goal is to be invisible. Hair. You will want to keep your hair out of your face, especially at windy outdoor shows. I have an assortment of headbands to match every outfit! Undergarments. You will be running. You don't want to be jiggling around too much as it may distract the judge. Or you. (I can't concentrate on Jedi if I'm worried about my belly flopping all over the place. Vanity? Yes.) Also, well-endowed women may want to consider a good sports bra. Comfortable shoes. Go for flats with good arch support. Try to find something that goes with your outfits. My suggestion: when you find a good one, buy it in every color. Pantyhose. Yes or no? This really is just a matter of preference. I've seen it both ways with no problem. However, if you say yes to hose, bring a second pair. Chances are you're going to snag them on something during the weekend. Jewelry. You want to look good but at the same time you don't want things jangling and distracting your dog. Avoid bracelets. Port-a-Potties. Not all dog show locations have decent bathrooms and the port-a-potties get nasty very quickly. You don't want a complicated outfit keeping you in there too long. And you definitely don't want your outfit to touch the floor!